Nestled deep in the woods of mid Alabama is a lake that is known as a, “Sleeper Lake” seldom mentioned within the confines of Alabama’s fishing circles. 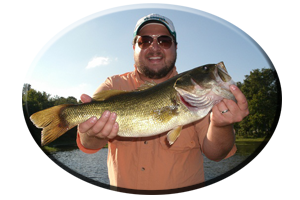 A Lake that goes without much recognition, especially for the exceptional bass fishing it displays during winter. 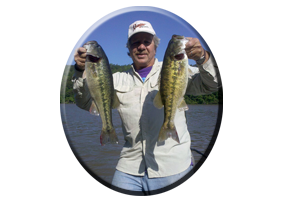 Each winter season anglers probing the waters of the Warrior River’s hidden impoundment, Holt Lake, catch huge, trophy sized spotted bass, largemouth’s and an occasional striped bass. But usually they keep it to themselves. This small lake, only 18 miles long, has given up many 6-7 pound spotted bass and largemouth’s in the 10 pound range. In recent years, hybrid stripes and some huge striped bass, some in the 20 pound plus category, are showing up in numbers. There are no major cities near Holt Lake. Although just south of Holt Lock and Dam is the city of Tuscaloosa, that displays the mighty waters of the Warrior River, running right through town. Between the city of Tuscaloosa and Holt Lake, is a smaller lake named, William Bacon Oliver Lake. The headwaters of Holt Lake, stretch far north of mid western Alabama, into the tailrace waters of Bankhead Lake’s Lock and Dam, built in 1916. 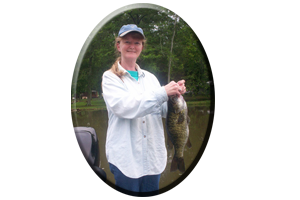 Here, in Holt Lake’s headwaters, you will find some fantastic winter fishing. Especially when targeting the underwater remains of an old Lock found here consisting of huge rocks, boulders and tons of concrete. This man made, underwater fish habitat, is all that is left of the Old Lock 16, that was dynamited many years ago, as it was put out of service and replaced with the new Lock 17 dam. Just below here a few miles, is the old Lock 16 Park with picnic facilities, boat launch and campgrounds. While in this scenic part of Holt Lake’s headwaters you may see an abundance of wildlife including, White Tail Deer, Wild Turkey, Red and Gray Fox, Gray Squirrels and some huge Fox Squirrels, including rabbits and plenty of bird species as well. One particular bird found here, The American Bald Eagle that winters annually in Holt Lake, can be seen nesting in some huge, man made nests, found planted along the scenic hillsides. There are many deep, valley like creeks and some deeply entrenched stream beds, feeding this Lake. Two creeks, Deerlick Creek and Rocky Branch Creek, are both found on the lower lake. They have boat launches, and many facilities for swimming, picnicking, fishing, boating and camping. Getting to this lower lake region calls for simply taking Hwy. 11 off of Interstate I-59 & I-20 Southbound of Birmingham. Follow Hwy. 11 south to Hwy. 216 north and turn right. Go up Hwy. 216 a few miles and then turn left onto Hwy. 93. This road leads straight to the Holt Lock and Dam Visitors Center, Tourist Information and boat launch. There are many marinas found here as well. Explore Holt Lake this winter and discover some of its hidden secrets. Especially when it comes to tackling with some of its true, trophy sized bass. But be prepared to spend a day all alone on this small lake on the Warrior River. A Lake that gets very little recognition for being an excellent lake to fish this winter, while other lakes in Alabama, get all the attention. If you would like to learn more about Holt Lake or any Alabama Lake always call on Reeds Guide Service…first! “Growing up fishing on the Warrior River System and then branching out (throughout a lifetime), fishing every lake in Alabama for over 40 years.” Remember a guided fishing trip with Reeds Guide Service also makes a great gift for Birthday’s, Father’s Day and Christmas (certificates available), for those loved ones that love to fish. * Looking for a new or used boat? 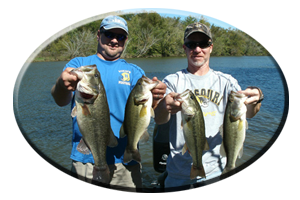 Go to: www.airportmarine.com and see their bass tournament trail info found there. Alabama’s best paying tournament trails and annual events! 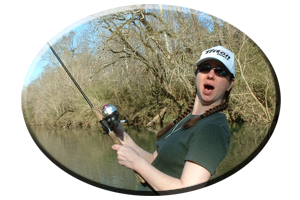 * Looking for a great bass tournament trail?